Shopping vs. Privacy: What Does Amazon Know About You? You’re probably well aware that companies are spying on you — and by “spying,” I mean collecting personal data to better understand your behaviors and habits. A serious breach of privacy, some say. But most people are only concerned about three particular companies. Google knows all kinds of stuff about you How To Clear Your Data From Google & Attempt To Regain Some Of Your Privacy How To Clear Your Data From Google & Attempt To Regain Some Of Your Privacy Wiping all trace of you from the web is not easy, but after reading Dragnet Nation by Julia Angwin you might just want to try. It's time to stop willingly throwing away your privacy. Read More , not only through Gmail and Search, but also through devices like Google Home and Android (e.g. Google Assistant, Location Services). Microsoft has tarnished its reputation with aggressive data collection tactics in Windows 10. Facebook knows the most, mainly because we share everything without hesitation. But what about Amazon? No, you can’t forget Amazon, the largest internet-based company on the planet. Did you think Amazon was too noble to breach your privacy? You’d be surprised. Here’s what the company knows about you and where that knowledge comes from. What Does Amazon Know About You? The screenshot above shows my Amazon homepage. I’m sharing it so that you can see what Amazon’s recommendation engine thinks I like. All of these recommendations and advertisements are based on my personal history with Amazon, which actually starts way back in 2010. So Where Does Amazon Gather All of Its Information From? User profile — This one’s a no-brainer, but any details you fill out in your account profile will be stored and kept by Amazon. Yes, this includes personal information (e.g. your shipping addresses) and payment methods (e.g. your credit card numbers). 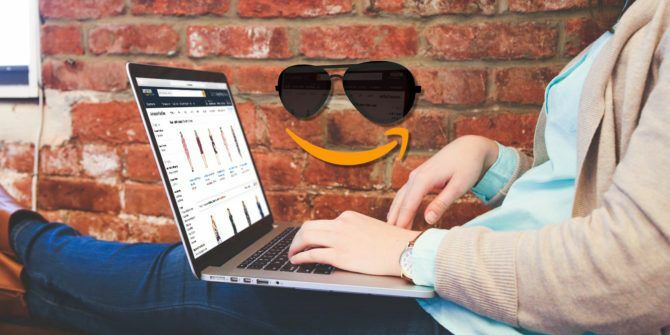 Browsing — As you browse the site and shop for goods, Amazon records all kinds of details: your IP address, your browser, operating system, timezone, which pages you visit, length of time on each page, which buttons you click or don’t click, etc. Search queries — When you search for items, Amazon keeps track of what you searched, when you searched it, and which products you ended up viewing based on those searches. Wish lists — As you create and add items to Wish Lists, Amazon keeps track of that to refine your interest profile and learn what kinds of items you’re currently interested in. This is also true for item registries, such as the recently added Amazon Baby Registry feature How to Create an Amazon Baby Registry That Everyone Loves How to Create an Amazon Baby Registry That Everyone Loves As your baby is about to arrive, your friends and family will ask what they should buy for new one. The Baby Registry from Amazon is the perfect place for a Baby Needs This list. Read More . Order history — This one’s a big one: Amazon tracks each and every item you ever purchased. In fact, if you revisit any item you’ve purchased in the past, Amazon will tell you when you bought it. This information is used to further refine your interest profile. Reviews and ratings — Any time you rate and review an item, Amazon uses that to refine your interest profile. It makes sense, right? Whether you love or hate an item, Amazon can use that to better understand what kind of shopper you are. Contests and surveys — If you ever participate in an Amazon contest, questionnaire, or survey, your responses will be stored and associated with you as a shopper. Mobile app — If you use any mobile apps developed by Amazon or its subsidiaries, be aware that those apps will track and transmit location data back to Amazon whenever possible. Streaming services — One of the big benefits of Amazon Prime is that you get access to high-quality TV shows and movies with Prime Video 10+ TV Shows That Make Amazon Prime Worth the Money 10+ TV Shows That Make Amazon Prime Worth the Money Netflix is undoubtedly the king of the movie and TV show streaming services. However, Amazon Prime has some fantastic television shows that make it worth the asking price. Read More and online music streaming with Prime Music Why You Should Give Amazon Prime Music a Second Chance Why You Should Give Amazon Prime Music a Second Chance There are several reasons why you might want to give Amazon Prime Music a second chance. It certainly deserves much more credit than it's currently getting. Read on to find out why. Read More . And yes, Amazon tracks your viewing habits to better understand your tastes as a consumer. 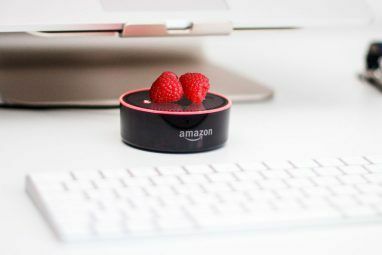 In December 2016, investigators of an Arkansas murder found an Amazon Echo at the scene of the crime and requested that Amazon hand over the audio data in case it could shed light on what exactly happened leading up to the incident. Amazon refused. Either way, this raises some important concerns. The Amazon Echo is a voice-activated device that responds to verbal commands. In order to respond to verbal cues, it needs to be “always listening.” There’s no way around this. But how much of what it hears is recorded? According to Amazon, the Echo only has 60 seconds of recorded audio at any given time. Once the wake word is detected, the recorded audio and the following verbal command are uploaded to Amazon’s cloud. The recorded audio’s purpose is to help improve the Echo’s performance. Note that Alexa — the voice-activated assistant that powers the Echo — is also present in the Amazon Fire TV and Amazon Fire TV Stick. So it would be disingenuous to say that Amazon is literally spying on you through the use of always-listening devices. 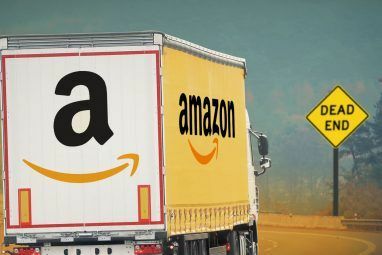 As with all the tracking done for Amazon shoppers, the intention behind these recordings is to improve the service and products so that Amazon can better serve you. That being said, Amazon is collecting a ton of data on you as far as which devices you’re using, where you use them, how you use them, and what kinds of issues you run into while using them. Keep this in mind when using, say, an Amazon Kindle. If you really don’t like Amazon’s approach to privacy and personal data, you should use a different online retailer such as AliExpress Is AliExpress Safe and Legit? Our Alibaba Express Review Finds Out Is AliExpress Safe and Legit? Our Alibaba Express Review Finds Out Is it safe to shop on Aliexpress? Are there any security vulnerabilities? Our Aliexpress review finds out whether it's legit. Read More . That’s truly the only way to give zero data to Amazon. That said, Amazon does allow you to tweak your privacy settings and restrict how much personal data to collect, but doing so may prevent you from using some of Amazon’s services (because these services depend on said data to work properly). For example, the 1-Click Purchase feature relies on stored shipping addresses and payment methods. If you erase those details from your profile, there’s no way to 1-Click anything. Go to Manage Address Book settings. Click Delete to delete a stored shipping address. When asked to confirm, click Yes. Repeat for all stored shipping addresses. Go to Manage Payment Options settings. Click Delete to delete a stored payment method. Repeat for all stored payment methods. Go to the Your Browsing History page. Click Manage History on the right side. Next, Remove all items to wipe your history. Then, Turn Browsing History on/off to disable this feature. Alternatively, you can remove individual items from your history by clicking Remove under each. Go to Manage Your Lists settings. Click List Settings at the top right. Mark all checkboxes under the Delete column. Alternatively, you can go through each wish list and delete individual items to revoke specific insights that Amazon might have about you. For true privacy, however, consider wiping all lists entirely. Go to the Reviews Written by You page. Click Delete review under the review rating. Repeat for all reviews you want to delete. Go to Amazon Advertising Preferences. Select Do Not Personalize Ads from Amazon for this Internet Browser. Repeat for all browsers you use to shop on Amazon. Navigate to the device settings. Under the Personal category, tap on Location. Toggle On to Off to disable location services. Starting with Android 6.0 Marshmallow, you can disable location permissions on an app-to-app basis. Navigate to the settings page for apps configuration, go to the location section, and toggle the apps that you don’t want knowing your location. Toggle On to Off for individual apps. Go to Manage Your Content and Devices settings. Click Your Devices at the top. Read the disclaimer and click Delete to wipe them all. Alternatively, you can go to the Alexa app on your mobile device, navigate to the History settings, and delete individual recordings instead of wiping them all at once. It’s impossible to be completely private when on the internet, especially if you want to use a site that’s as data-driven as Amazon. However, with these settings tweaked, you will minimize your risk of exposure in case something ever happens, such as hackers infiltrating and stealing data 6 Warning Signs Of Digital Identity Theft You Shouldn't Ignore 6 Warning Signs Of Digital Identity Theft You Shouldn't Ignore Identity theft isn't too rare of an occurrence these days, yet we often fall into the trap of thinking that it'll always happen to "someone else". Don't ignore the warning signs. Read More or Amazon deciding to sell your data to third parties. How much do you trust Amazon? 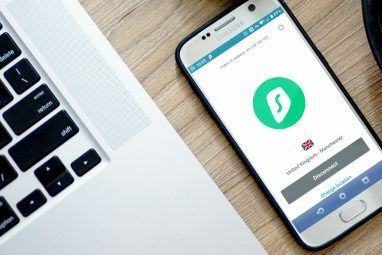 Are you willing to sacrifice some privacy for the convenience of online shopping? Share your thoughts with us with a comment down below! Explore more about: Alexa, Amazon, Amazon Echo, Online Privacy, Surveillance. :You’re probably well aware that companies are spying on you — and by “spying,” I mean collecting personal data to better understand your behaviors and habits. A serious breach of privacy, some say. " The last line is totally false as all privacy rights are in fact based upon private property rights. In a world where everything is publicly owned their is no privacy ! The fact that people generate data that is left is the public domain is ,in the final analysis, the fault of the person who generated it. Data one made public or placed in the public cannot be claimed as private - despite the state's recent attempt to do so.